Jerry & Chris Waterbury (pictured left) had the pleasure to speak candidly by telephone with one of guitar’s legends, Tony Levin. Tony describes working with drummer Bill Bruford (Tony & Bill are an important part of King Crimson), specifically their Upper Extremities collaboration featuring David Torn & Chris Botti. Also heard is Black Light Syndrome, with Terry Bozzio & Steve Stevens. 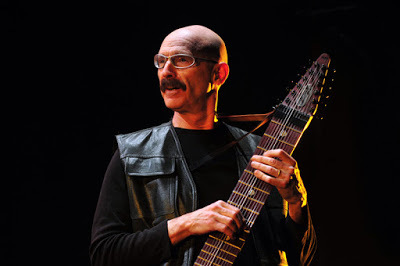 Tony is considered one of the greatest exponents of the Chapman Stick (pictured). He’s also a sought-after session musician, playing for Peter Gabriel, Paul Simon, Catie Curtis, Buddy Rich and many others. Tony talks about his work with them, running his own independent record label, and his unique love of barbershop quartet harmonizing. Also heard: The Clams, Tony’s rare 45 spoofing The Carpenters’ “Close to You” (ala Spike Jones). 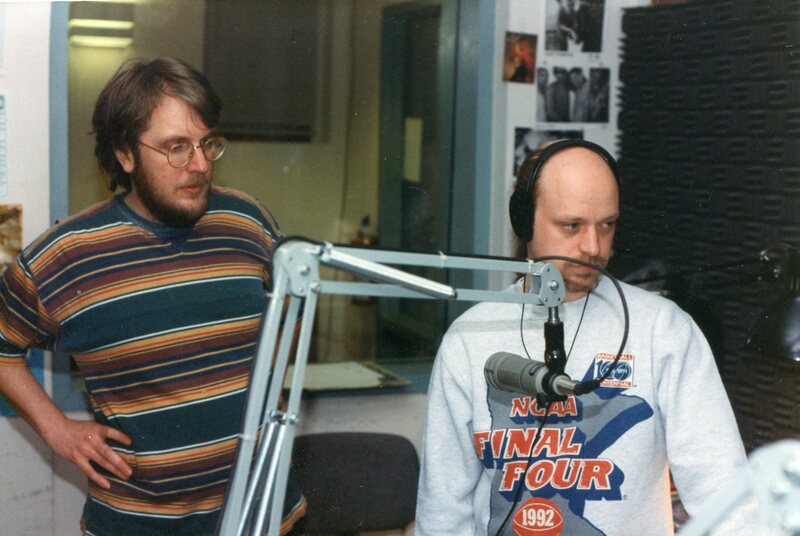 Broadcast 1998 on The Musical Transportation Spree, KFAI Minneapolis-St. Paul.